2016 Season (Redshirt Sophomore): Terry McLaurin played in all 13 games last season, starting five times … he caught 11 passes for 114 yards and two touchdowns. 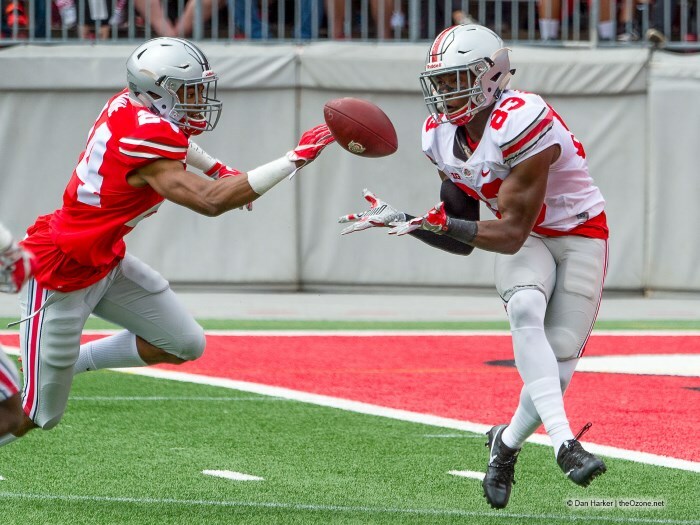 Ohio State Overview: McLaurin is in his fourth year with the football program and is vying to become a key contributor at receiver this fall … he redshirted the 2014 season as a true freshman — in 2015 he played in all 13 games for the 12-1 Buckeyes … he was a key special teams player with 228 plays with high games of 31 plays vs. Indiana, 22 vs. Northern Illinois and 21 vs. both Virginia Tech and Maryland … McLaurin had the most playing time out of any receiver last year not named Miller, Thomas, Marshall or Samuel … he was among the leading tacklers on special teams with seven and he also had a fumble recovery … is undecided on a major. More on Terry: McLaurin was the 2013 Indiana Mr. Football, as voted on by a panel from the Indiana Football Coaches Association … a four-star prospect by ESPN and Rivals, McLaurin was considered a Top 50 wide receiver with a high ranking of No. 28 by 247Sports and additional rankings of No. 43 (Scout), No. 46 (Rivals) and No. 61 (ESPN) … his most impressive ranking might have been the No. 7 he received from another online organization, though, as in seventh-fastest prospect in his class (4.41 40) … the speedy playmaker led Cathedral High School to the 2013 Indiana 5A state championship after winning three consecutive Class 4A titles between 2010-12 … McLaurin had three touchdowns, an interception and four tackles in the title game to cap a senior season in which he had 58 receptions for 953 yards and eight touchdowns and another 744 yards rushing and six more scores … had 312 rushing yards and four TDs in playoff win over Decatur Central … recorded 820 receiving yards and 16 total touchdowns as a junior … returned two kickoffs for TDs as a senior and two punts for TDs as a junior … … is the son of Grace and Terry McLaurin Sr.